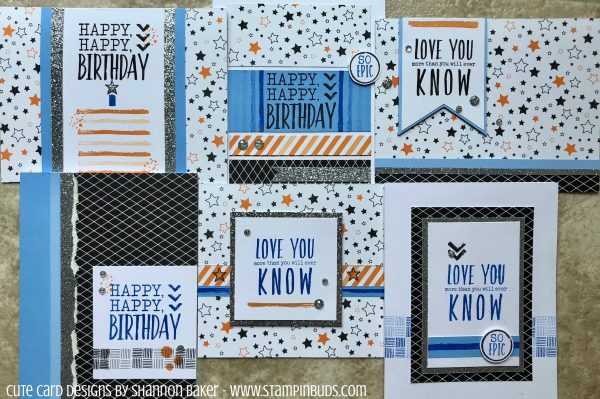 Featured on page 42 of the 2018 CTMH Holiday Expressions Idea Book, I have taken the WYW Epic Birthday Cardmaking Kit and added 4 additional card designs for you to create. Why make 6 each of 2 card designs when you can create 2 each of 6? What’s included in this ‘Epic Birthday’ Card Kit?